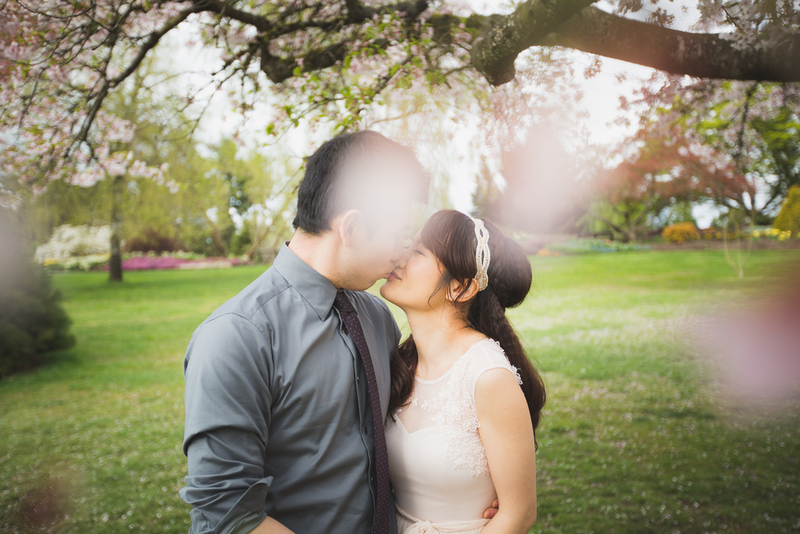 Janet + Hai's spring wedding at The Celebration Pavilion in Queen Elizabeth Park was perfectly adorned with the famous pink snow of Vancouver, cherry blossoms! Such a fun loving couple, the day was filled with laughter and celebration through the hilarious door games to the surprise dance from Hai and the groomsmen. Friends and family came from far and wide to witness this awesome union.